A member of the Boston Symphony Orchestra, Julianne Lee recently received the Presser Music Award. She made her solo debut at age 7 with the Lake Placid Symphonietta. Subsequently, she has also appeared as soloist with the KBS Symphony Orchestra in Korea and the Baden-Baden Philharmonie in Germany. Her chamber music collaborations include concerts with such renowned artists as Joseph Silverstein, Peter Wiley, Roger Tapping, Samuel Rhodes and Arnold Steinhardt. 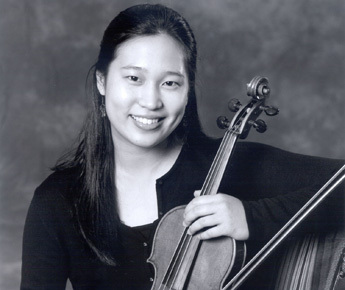 This past summer Ms. Lee participated at the Marlboro Music Festival, Santa Fe Chamber Music Festival and a European tour with the Australian Chamber Orchestra as Guest Principal Violist. She holds a Bachelor’s Degree in violin performance and a Diploma in viola performance from the Curtis Institute of Music, studying with Victor Danchenko, Joseph Silverstein and Joseph DePasquale. She received her master’s degree from the New England Conservatory of Music, working with Donald Weilerstein and Kim Kashkashian.